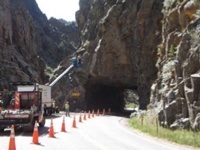 The Federal Lands Highway (FLH) of the Federal Highway Administration (FHWA) recently investigated the application of polyurethane resin (PUR) injection as a rapidly deployed, cost-effective ground and structure stabilization method. Application objectives included the preservation of historic, cultural, and other environmentally sensitive natural and man-made features while maintaining the original visual characteristics and aesthetic appeal. 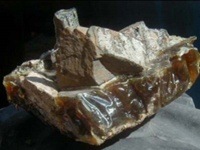 Based on the "lessons learned" from these investigations, application guidance has been developed for the selection of polyurethane resin products and injection methods to (1) stabilize failing rock masses (e.g., rock slopes, unique rock promontories, escarpments), and (2) preserve aging and/or deteriorating man-made structures (e.g., historic retaining walls, archeological structures). Polyjacking.com is proud to offer this service to the Kansas City community. We are residents of the area and we want Kansas City to be as safe as possible. 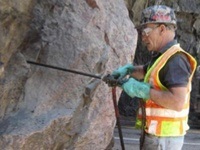 We are dedicated to offering the very best equipment, tools, and services when it comes to Polyurethane Resin Injection for rock mass stabilization. Our technicians are highly trained and equipped with the best products in the industry. 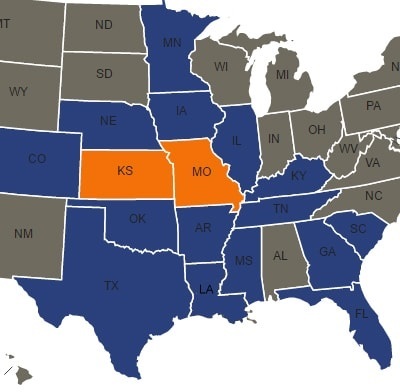 Contact us to learn more about all the services that Polyjacking.com offers to the residents, municipalities, and business owners of Kansas City.